The Student Leadership Competencies 360 Evaluation was created to provide a tool to evaluate the Behavior dimension. Although there are many forms of 360 evaluations, this particular instrument is designed specifically to measure performance of the 60 competencies. Please read the Informed Consent as all data collected through any of the assessments associated with either evaluation will be used to make improvements to the instrument. By completing either or both of the Student Leadership Competencies Evaluations, you are agreeing to the terms laid out in the Informed Consent. Observer Evaluation: Measure’s an external observer’s perception of an individual’s performance of the 60 competencies. Click on the instrument below that you would like to take. Complete the Self-Evaluation. Save or print your results page. 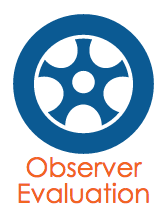 Ask as many observers as you would like to complete the Observer Evaluation. Have each of them save or print their results pages. Collect all results pages to assess feedback. 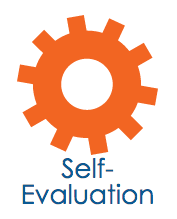 Compare your Self-Evaluation results with the Observer Evaluation results. This step may be done instead by an advisor, supervisor, or mentor who then gives you an overall report. Each instrument takes about 20 minutes to complete. Because the system does not save results after the browser is closed, it is important to print, copy and paste, or screen shot the results page to save for later.